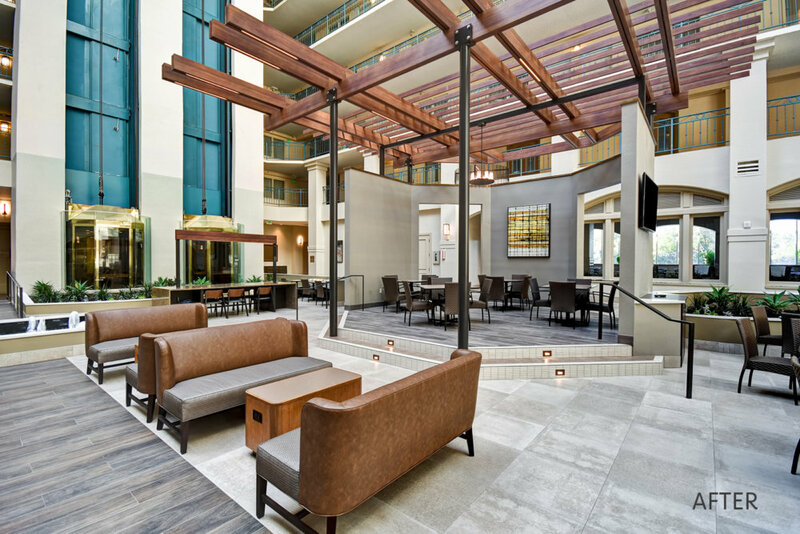 The Embassy Suites in Silicon Valley, CA is nestled at the base of the Mission Peak Nature Preserve, surrounded by the world's largest technology giants. 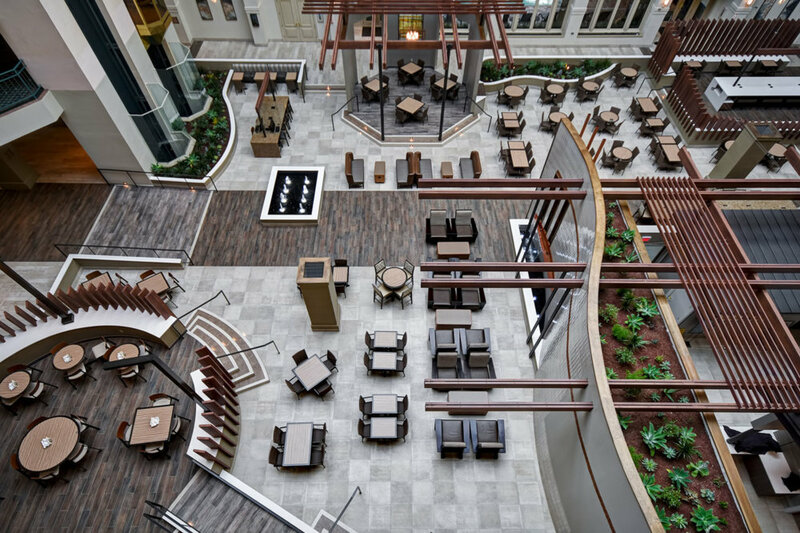 The public spaces of this hotel had not been renovated since the building was constructed in 1984 and the landscaping had transformed the atrium into a jungle. 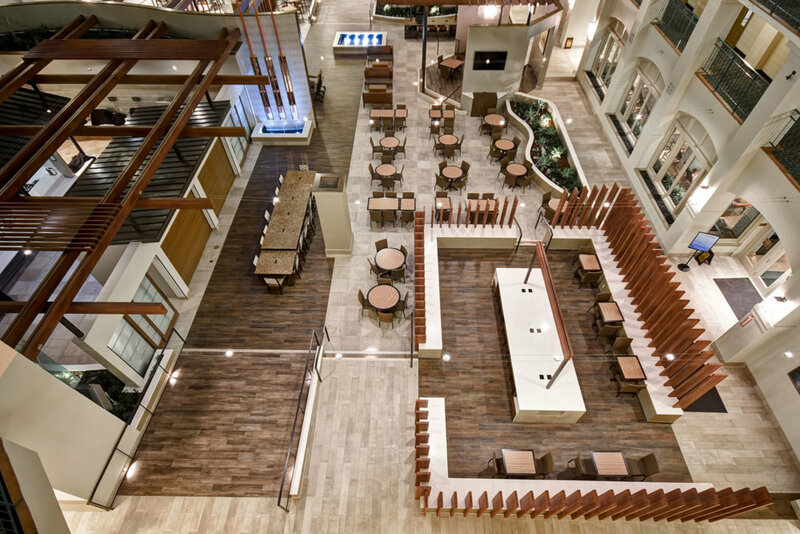 In the first phase of a two phase project, the entire ground floor public space was gutted. 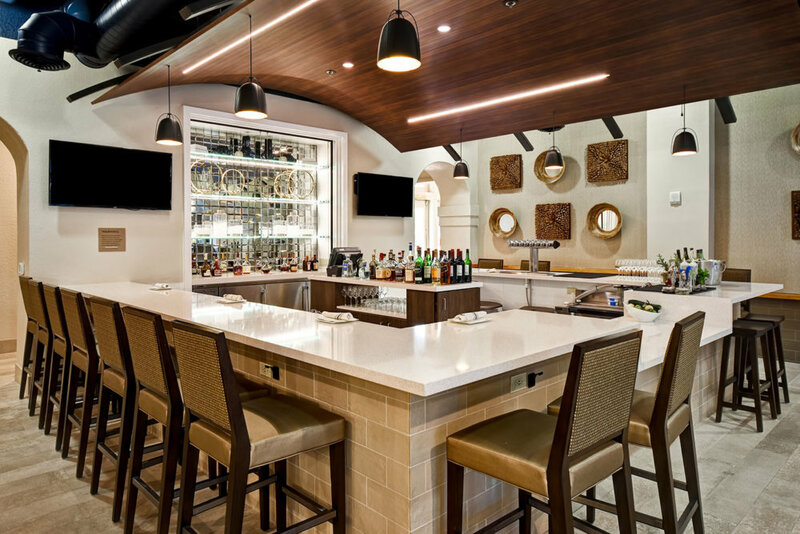 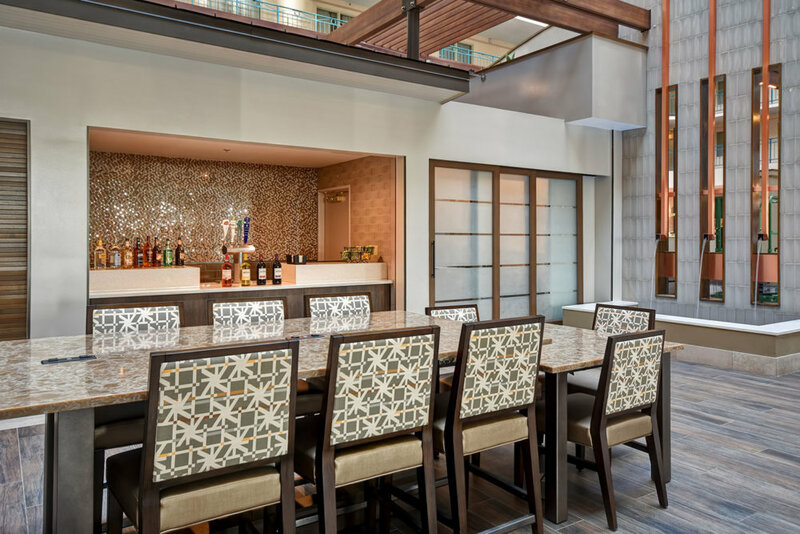 SCNZ re-envisioned the space with a focus on enticing guests to use the atrium and providing the warmth found in the bungalows in the Santa Barbara hills. 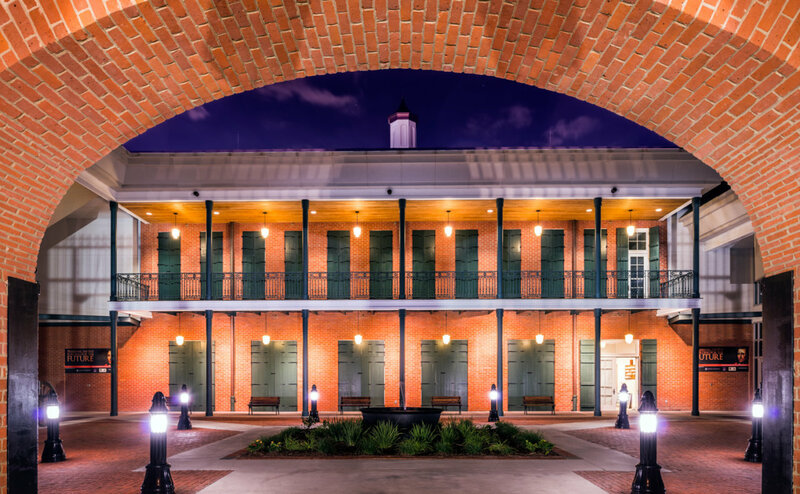 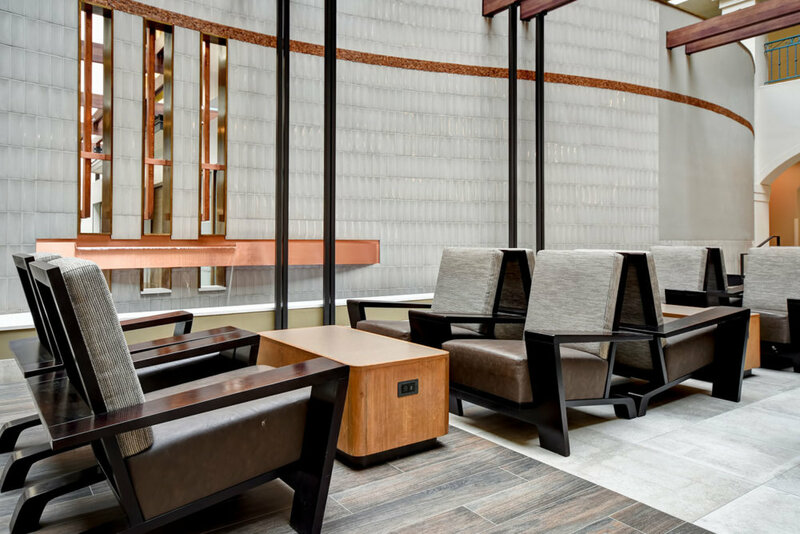 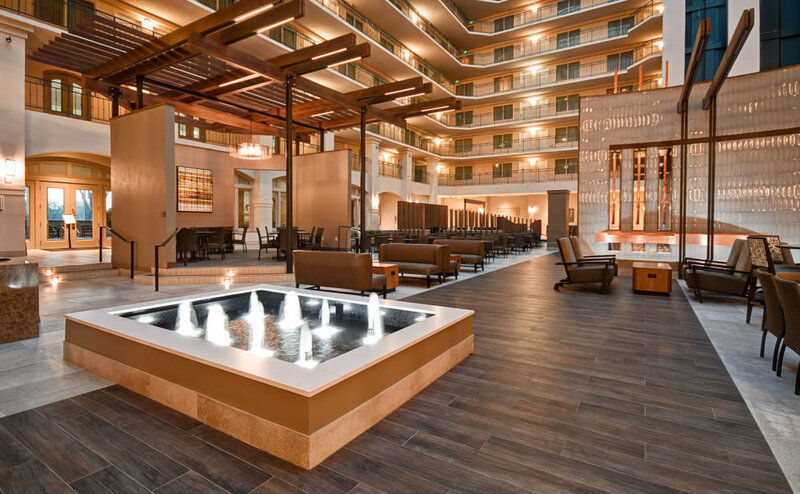 We satisfied the requirements of the new Embassy Suites Atrium Refresh program and California's strict energy and accessibility requirements while softening the spaces with dramatic wood trellis features and bronze and copper accents. 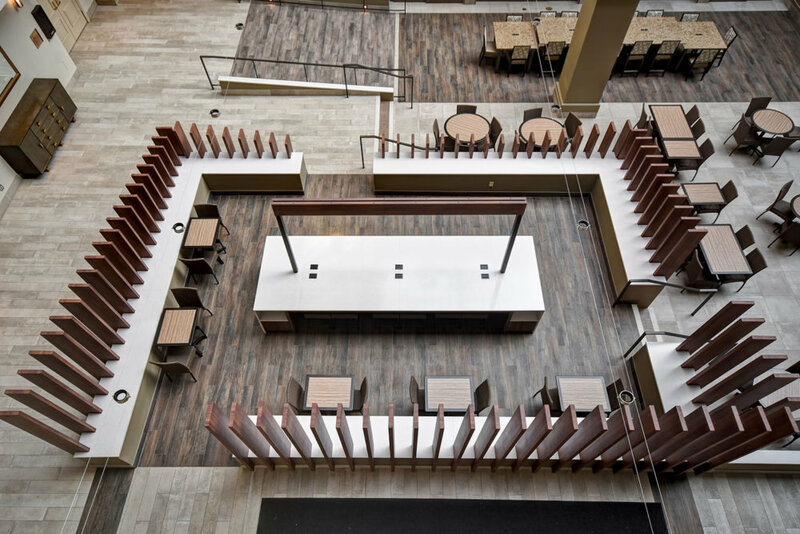 We converted the restaurant to a meeting space and then moved complementary functions of the brand into the atrium, housing each in an interesting new structure. 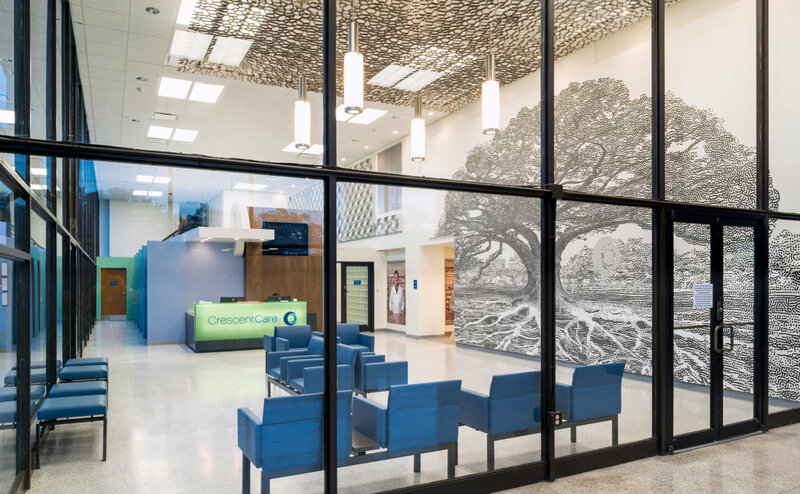 Now, operable walls and oversized doors conceal or reveal rooms and spaces as the functions change throughout the day and night. 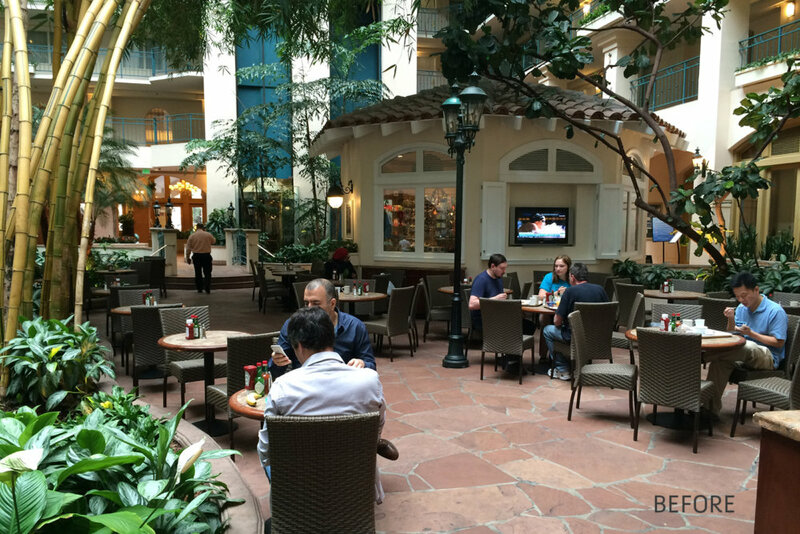 The use in the space has increased dramatically and the property is now infused new activity and energy.